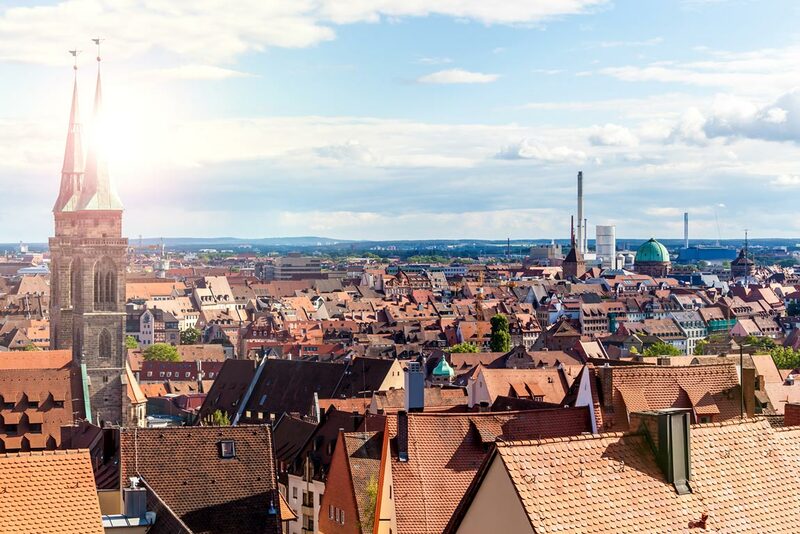 The Imperial Castle is the symbol of Nuremberg and an absolute must-see for every visitor. The defensive tower offers a splendid view of the historic centre of Nuremberg. The double imperial chapel (c. 1200) is one of the oldest parts of the once highly significant castle complex, dating back to the Holy Roman Empire. The castle’s impressive casemate and the Deep Well are also well worth a visit, particularly as part of a guided tour. The exhibition offers clear explanations of the elements and function of the castle in their historical context and presents information about the Holy Roman Empire of the German Nation and the role of Nuremberg in the late Middle Ages. The striking Gothic church was built in the mid-13th century and also gives its name to the southern part of the historic district. The church holds many important works of art, such as the Angelic Salutation by Veit Stoss and the monumental Tabernacle by Adam Kraft. While you’re there, you might also want to take a look at Nassauer Haus, the large medieval tower situated opposite the church. The Nazi party rally grounds around Dutzendteich are a must-see for every visitor. 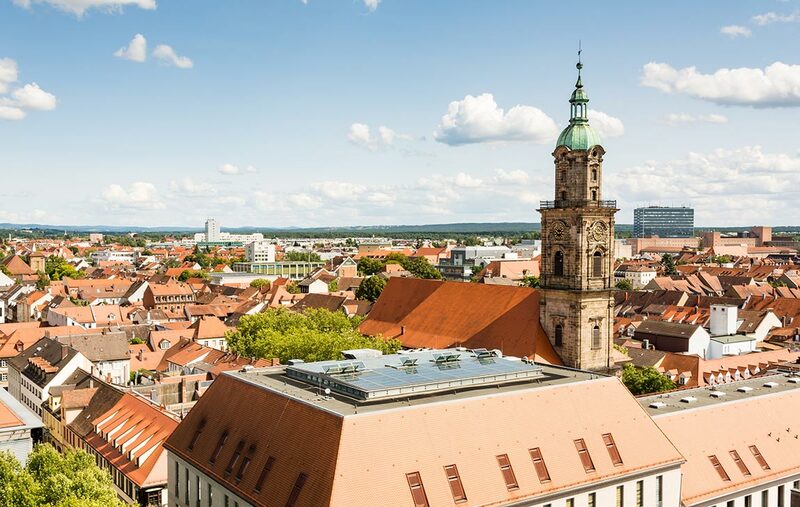 The grounds offer you an impressive and authentic insight into the era of Nazi dictatorship, the history of the Nuremberg rallies, and the Nuremberg trials. The Documentation Centre is housed in the Congress Hall, built to serve as a congress centre for the NSDAP but never finished. The grounds cover an area of around 11 sqaure kilometres. With its collection of rare animal species and wide variety of exotic habitats, Nuremberg Zoo, which is located in the eastern area of the city, offers something for animal lovers of all ages. Located just 7 km from our hotel, Playmobil FunPark is the perfect place for a fun family day out. With exciting attractions, such as the Farm, Tree House, Dinosaurs, and Climbing Net, the park will appeal to children of all ages. The nearby picturesque city of Fürth is also worth a visit. Take a stroll through the historic centre around Gustavstraße, the Green Market, and the classic Italian-style town hall. The Jewish Museum of Franconia and the Stadtmuseum offer fascinating insight into the city’s history. 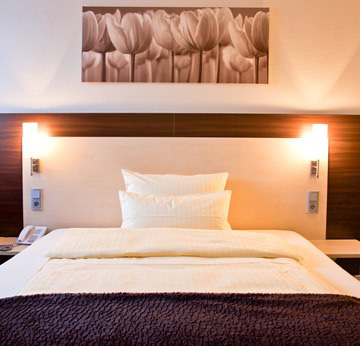 If you’d prefer a more relaxing day trip, you might enjoy taking a stroll through the Stadtpark or a visit to the Fürthermare health and fitness centre with thermal baths and saunas. If you’re interested in botany and culture, the city of Erlangen, around 20 km away, has much to offer. The botanical garden is particularly popular. Erlangen has more to offer besides the garden, including the decorative Baroque architecture of the Markgrafes Schloss with its orangery, gardens, and church. Alongside the historic towns in the Franconian region, the area known as Franconian Switzerland is also worth a visit. Covering the area north-east of Nuremberg and Erlangen to the gates of Bayreuth, it was given this name on account of its characteristic mountainous landscape. Akin to a watered-down version of Switzerland, it is highly popular among hikers, climbers, cyclists, and mountain bike riders. Water sports are just as popular here, such as kayaking and canoeing through Wiesenttal. 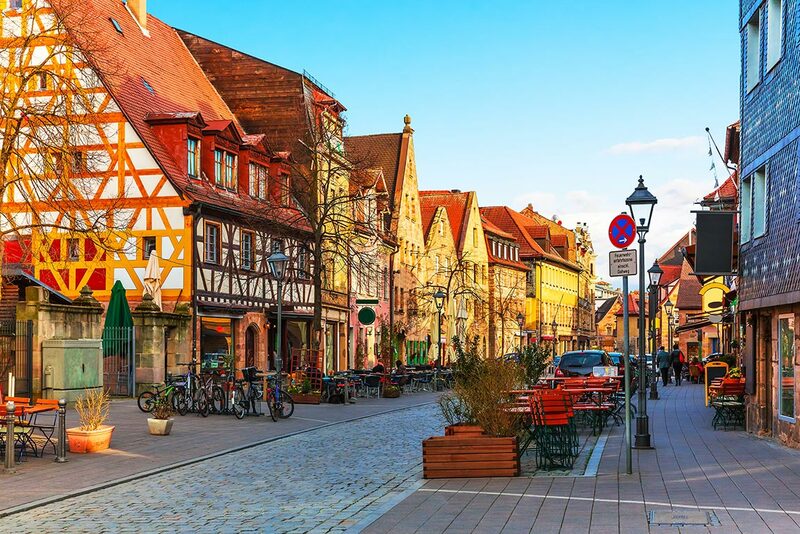 With its picturesque towns, impressive underground caverns, 170 medieval castles and ruins, steam train, and summer toboggan run, the idyllic area of Franconian Switzerland has much to offer. Visitors can also delve into the history of jeans at the Levi Strauss Museum in Buttenheim or admire Paul McCartney’s bass guitar and the smallest playable violin at the Geigenbaumuseum (Museum of Violin Making) in Bubenreuth. 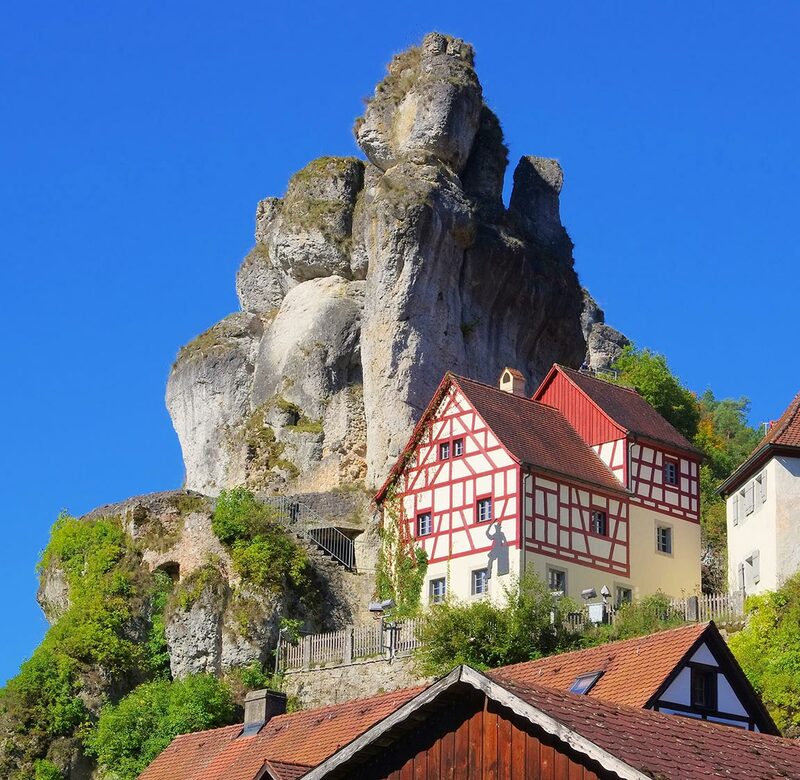 If you’re interested in exploring Franconian Switzerland, the Franconian Switzerland tourism website offers a great overview of activities and recommended tours.